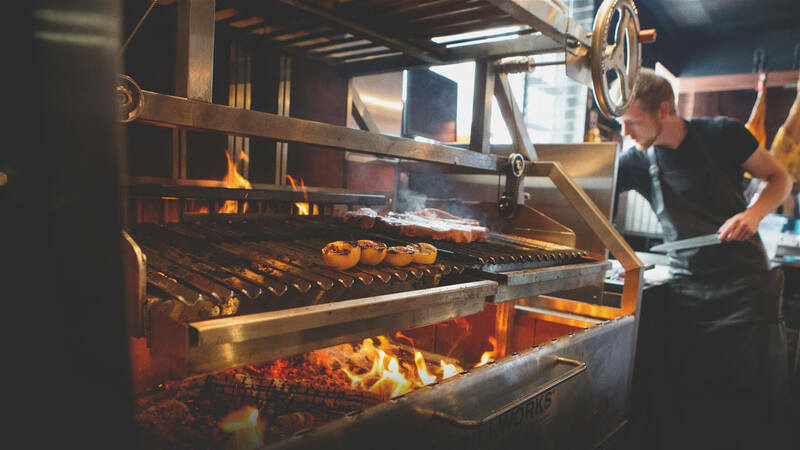 Argentinian inspired casual restaurant with an emphasis on sharing plates and family-style dining. 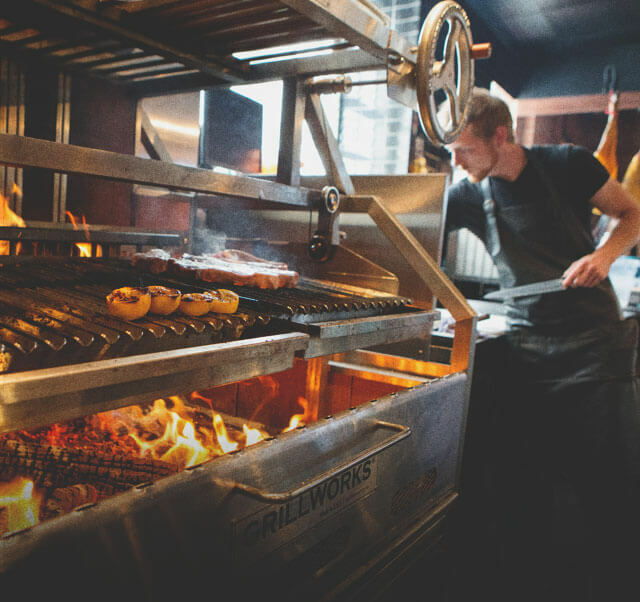 At the heart of the open kitchen is a wood-fired parilla grill. Located in the historical Simmons building along the beautiful Bow River in the newly developed East Village. for lunch, dinner and weekend brunch. Lunch in 45 minutes. Eat in, Take out. Fresh local ingredients, with a seafood raw bar, in-house ultra dry-aged beef, many vegetarian and celiac options. Rooftop Bar and Riverwalk Patio are available as the seasons permit. Event space available with full catering options. Off-site catering. Also, home to the Alley Burger walk-through window. Hyper local collaboration business: Serving Sidewalk Citizen Bakery goods and Phil & Sebastian barista made coffee. This restaurant exudes charm and a laid-back dining experience as you share dishes and stories with friends and family. Enjoy fresh, local ingredients, a seafood raw bar, in-house ultra dry-aged beef, plus plenty of vegetarian and celiac-friendly options. Don’t miss the roof-top bar during warmer months for stunning views and Bow River breezes.